An important Grant Morrison creation comes back to life in 'Sideways' #9 – AiPT! He’s from the New 52 and may or may not be the real deal. DC Comics’ “New Age of Heroes” has been an intriguing experiment, introducing new heroes to an already crowded superhero lineup. It presumes these new heroes were here the whole time, or are becoming part of things that were here the whole time. 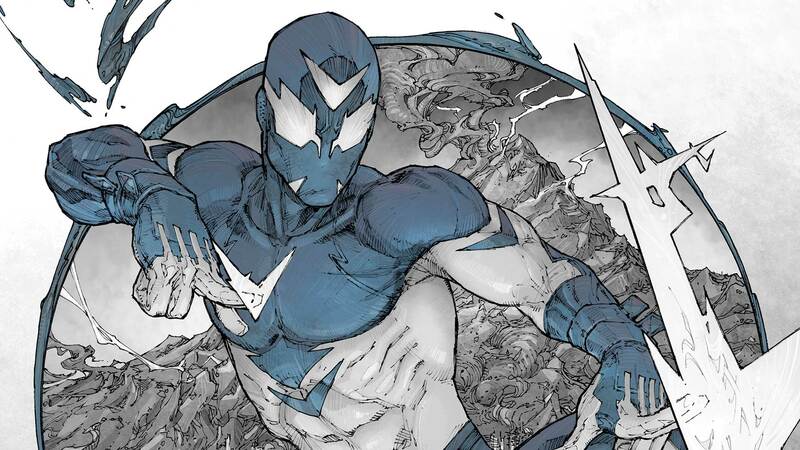 Sideways is one of them, and he’s a teleporting character which seems somewhat different for the universe. In the latest issue, this character isn’t even the biggest element we’ll all be talking about. No, instead, it’ll be a Grant Morrison character who we all thought died. To start the issue we learn Sideways is somewhere within the Dark Multiverse. It opens the issue at where we’ll end. I guess that cocoon is important, right? Quickly Sideways realizes there’s something inside and it sounds human. What is underneath all that green goo? None other than Superman, or at least the Grant Morrison version complete with tiny cape (it’s his blanket when he was a baby in the spaceship) and more casual costume. Seeing as we’re in the Dark Multiverse one can imagine he’s not the same Superman, but an evil incarnation — but only time will tell. That said, we haven’t seen this iteration of Superman since 2016 in Superman #52 when DC decided to kill him off and reveal the “real” Superman was hiding all along (and was never rebooted to begin with). How do you feel about this once very dead incarnation coming back to life? Tell us in the comments. To read the full issue, pick up Sideways #9 digitally today.